From the time my son was in utero, I read to him. As soon as we found out we were expecting my son, we started buying children’s books. Before we shopped for the first baby outfit or piece of nursery furniture, we bought children books. Both my husband and I are avid readers, and it was important to us that our son have every opportunity to be an avid reader, as well. So we read to him all the time. As he got older, he saw us often reading… setting a good example for him. It paid off because he was an early reader. In Kindergarten his reading level tested at a 5th-grade level. In the 2nd grade, he read The Hobbit, and could pretty much read anything I did, if he wanted to or we allowed him to. We loved and encouraged his passion for reading. We also knew that reading develops language skills and helps strengthen the mind. Learning to read and being read aloud to as young children is so important. 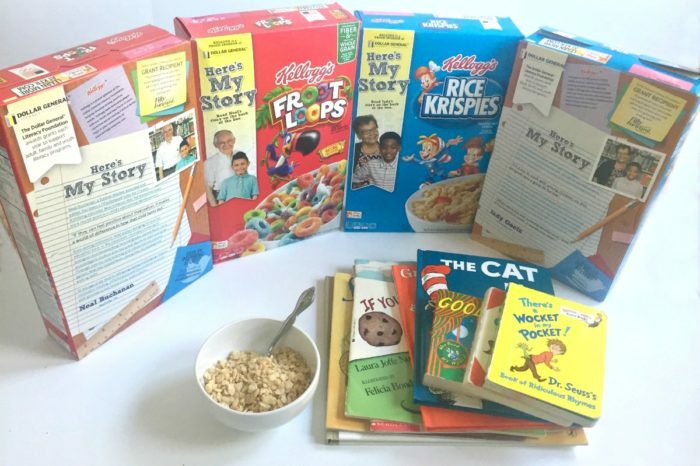 Because I’m so passionate about literacy and children having access to books, I’m a huge fan of literacy programs, like the Dollar General Literacy Foundation and why I’m promoting what Kellogg’s and Dollar General are doing to amplify the great things that literacy can do to help people achieve their full potential. 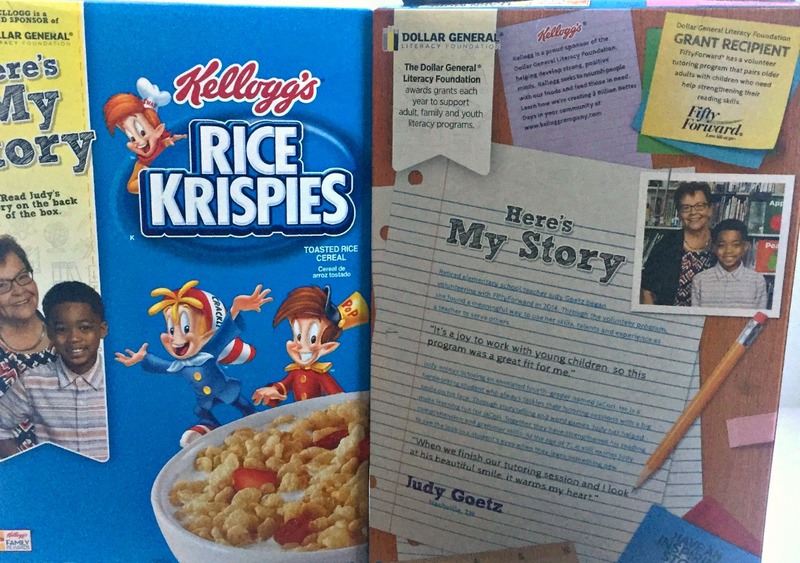 Kellogg’s is a proud sponsor of the Dollar General Literacy Foundation. Every day, Kellogg employees work together to fulfill our vision of enriching and delighting the world through foods and brands that matter. 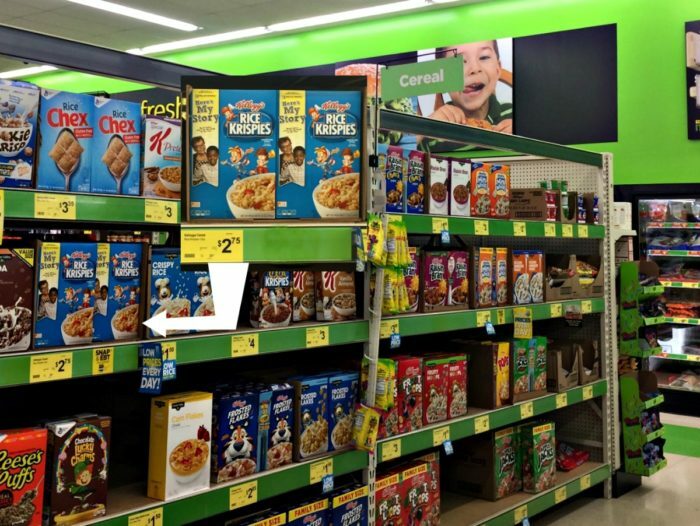 Kudos to Kellogg’s and Dollar General for getting behind this great cause. I want to help do my part in spreading their initiative by sharing this with you. The Dollar General Literacy Foundation is celebrating over 20 years of helping individuals learn to read, prepare for their high school equivalency, or learn English. This is an initiative I can stand behind. Since its inception, the Foundation has awarded more than $140 million to nonprofit organizations and schools that have helped more than 9 million individuals advance their literacy and basic education skills. Speaking of reading, I wanted to share some of my son’s favorite children’s books from when he was a toddler/child. We’ve donated or given away hundreds of books, but these ten books, we couldn’t part with. (This list is not in any particular order, with the exception of number one). 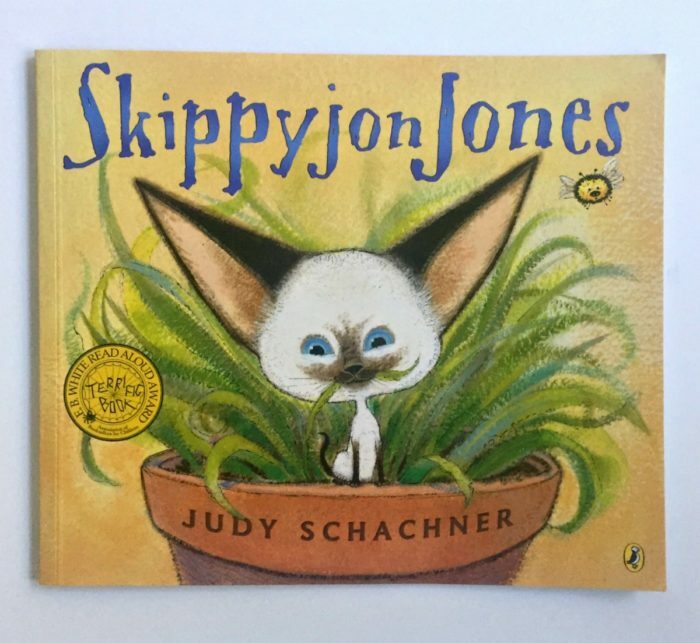 “Skippyjon Jones” by Judy Schachner became one of my son’s absolute favorite books for me to read to him. He would read it but loved it more when I did the reading. There’s a reason it won an E. B. White Read Aloud Award; it is such a fun read-aloud book. He especially loved it when I read it in an exaggerated Spanish accent (with a southern twang if you’re from the south like me). I have to admit that I miss reading the Skippyjon Jones books to my son. 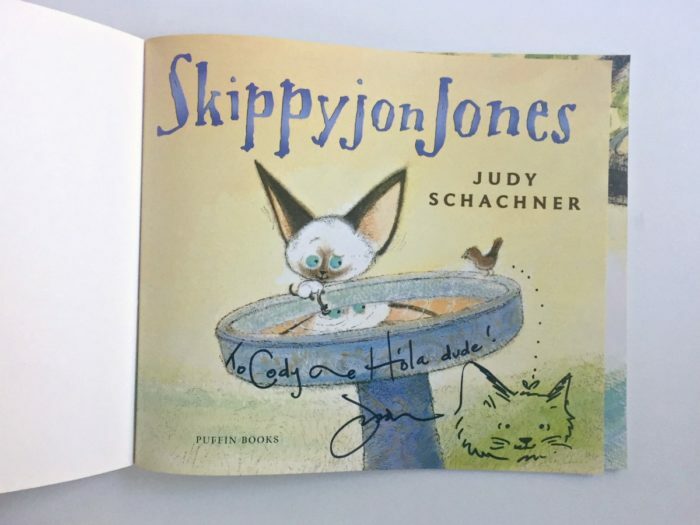 So it was a real treat that my son got to meet Judy Schachner and have her sign his copy of Skippyjon Jones. 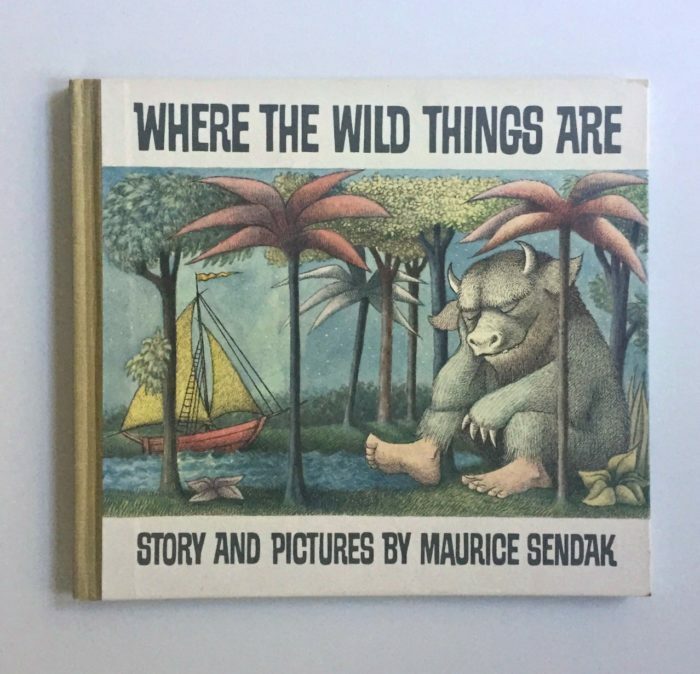 “Where The Wild Things Are” by Maurice Sendak, is usually a favorite, and it sure was with our son. The pictures are so beautiful and tell the story themselves, which makes this an excellent book for very young kids. 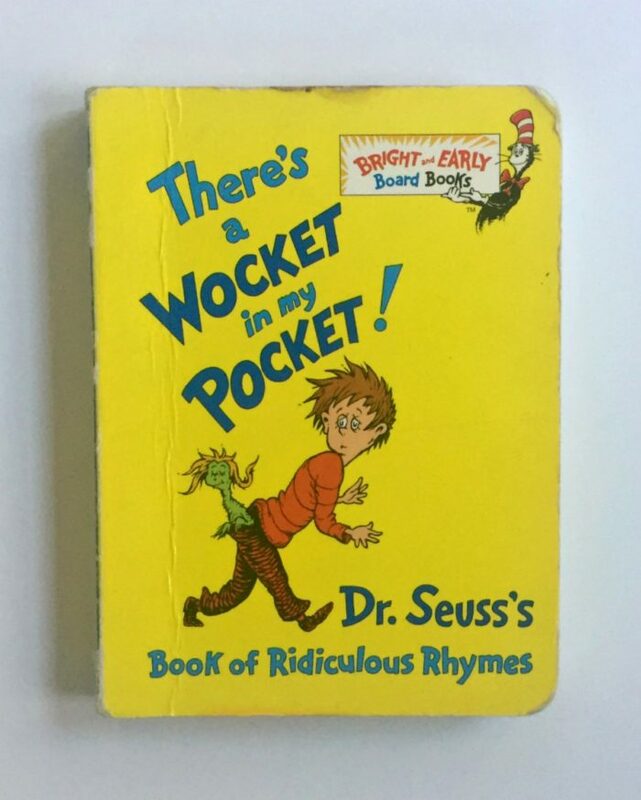 “There’s a Wocket in my Pocket” by Dr. Seuss (one of my son’s favorite authors) was one of those small board books that were perfect for little hands and was often seen in our son’s. He carried this book around a lot. It also was one of the books he loved for me to read to him aloud, as well. 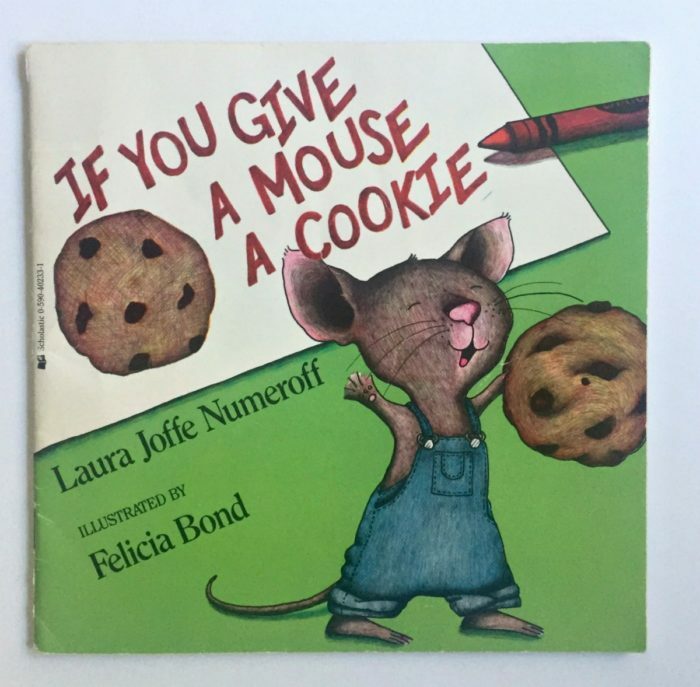 “If You Give A Mouse A Cookie” by Laura Joffe Numeroff is a fun children’s book. Like many of Laura Joffe Numeroff’s books, they’re great for kids to use their imagination and come up with other scenarios. “The Cat In The Hat” by Dr. Seuss is a must-have book in every child’s library, in my opinion. 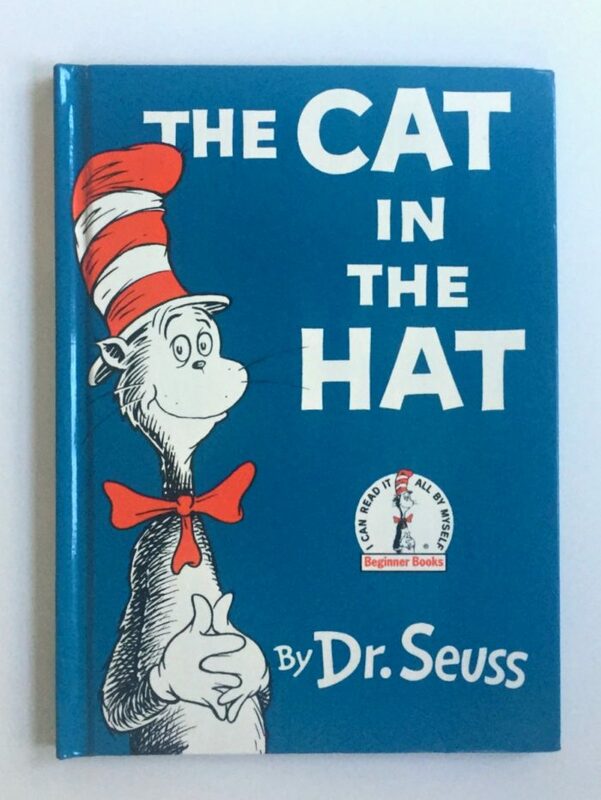 I’m fairly certain that we have owned every single Dr. Seuss book ever written, but if you only have one of his books, it should be this one. My son loved reading this book to anyone who would listen. 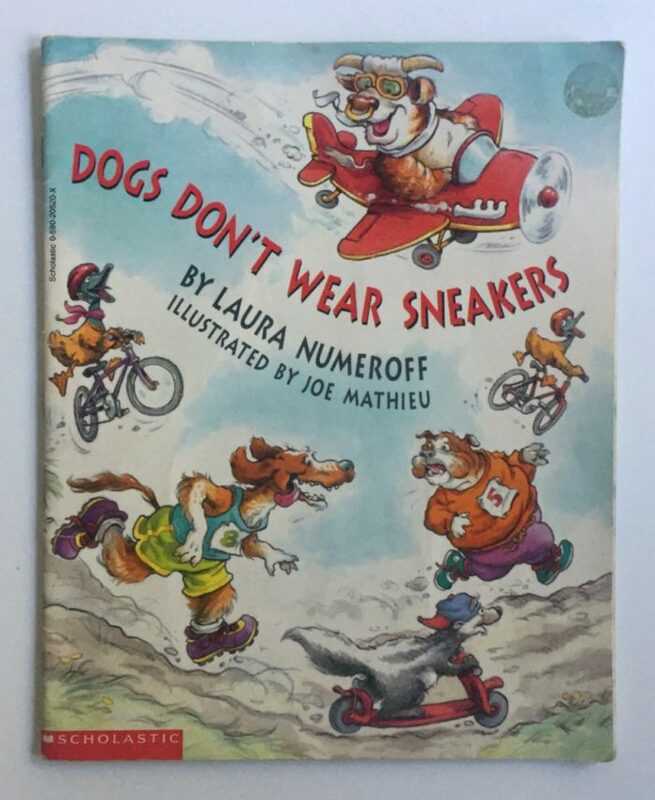 “Dogs Don’t Wear Sneakers” by Laura Numeroff is a hoot for young kids. The illustrations are fun and colorful, and kids find it hilarious. Definitely one of my son’s favorite children’s books. 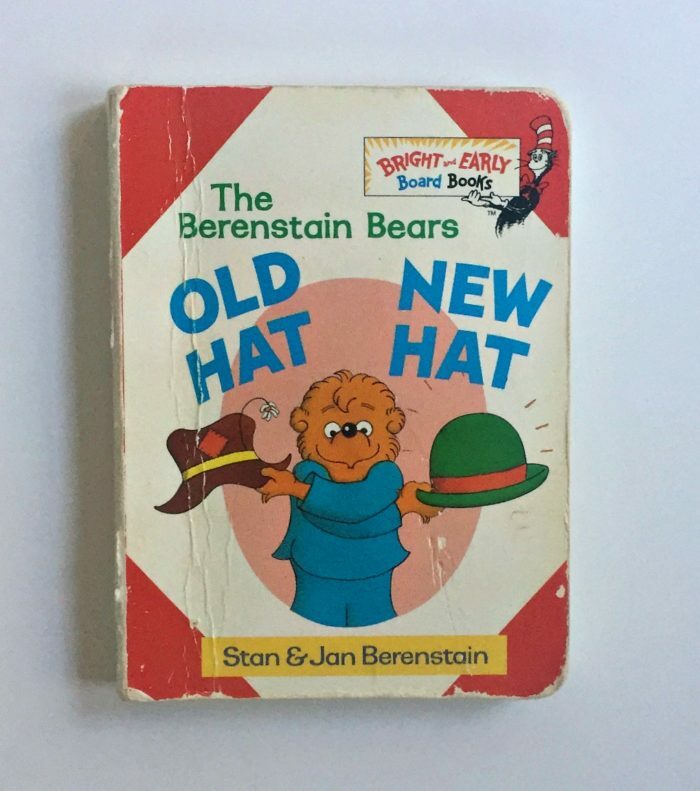 “Old Hat New Hat” by Stan & Jan Berenstain is an excellent small board book for very young kids. My son wore this little book out. At first asking me to read it all the time, to him reading it… all the time. As you can tell from how worn it is. 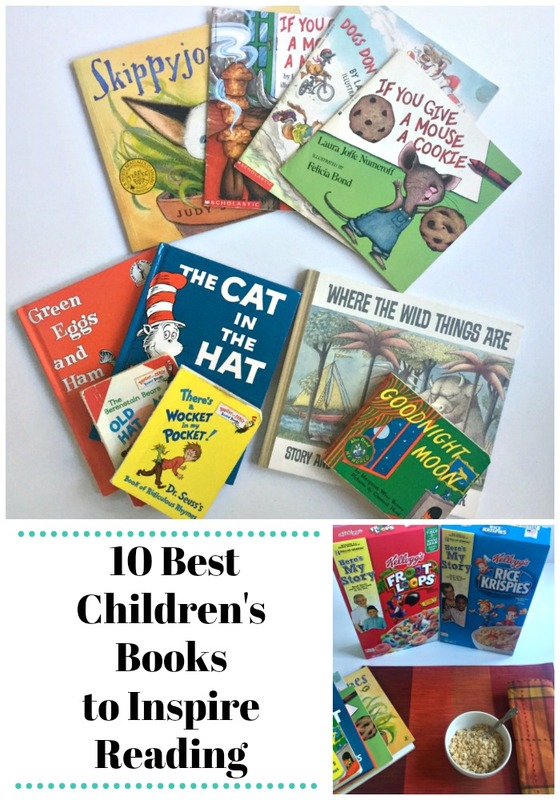 “Green Eggs and Ham” by Dr. Seuss is another great “I can read it all by myself” beginner books that should be in every child’s home. Dr. Seuss sure knew how to spin words into something magical, didn’t he? 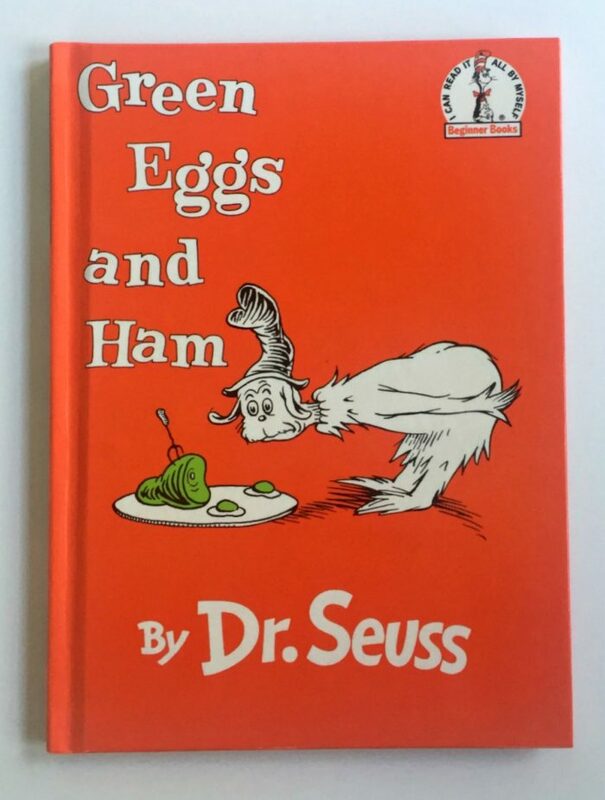 Yes, I even made green eggs in ham for him, and no, he wouldn’t eat it. 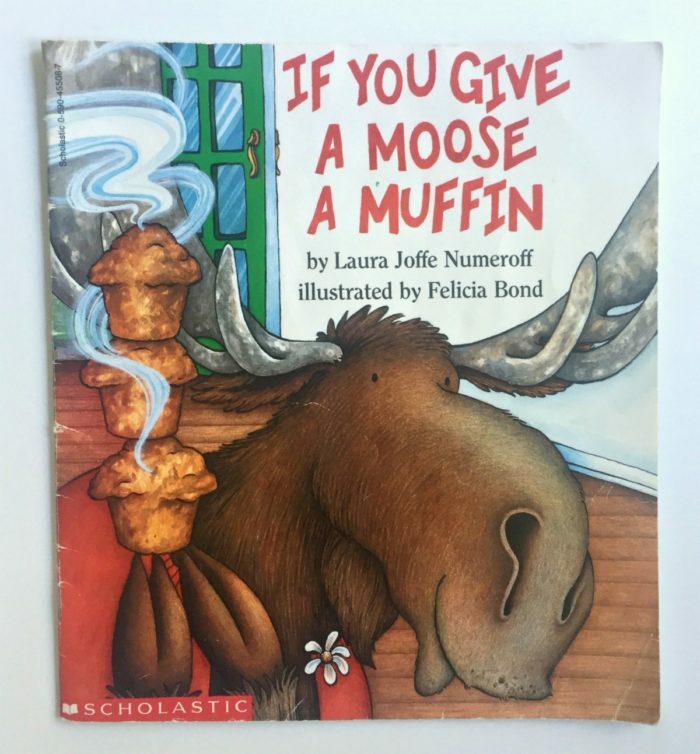 “If You Give A Moose A Muffin” another fun read by Laura Joffe Numeroff, and was a favorite of our son’s. He would even act out this book, along with many other of his favorites. 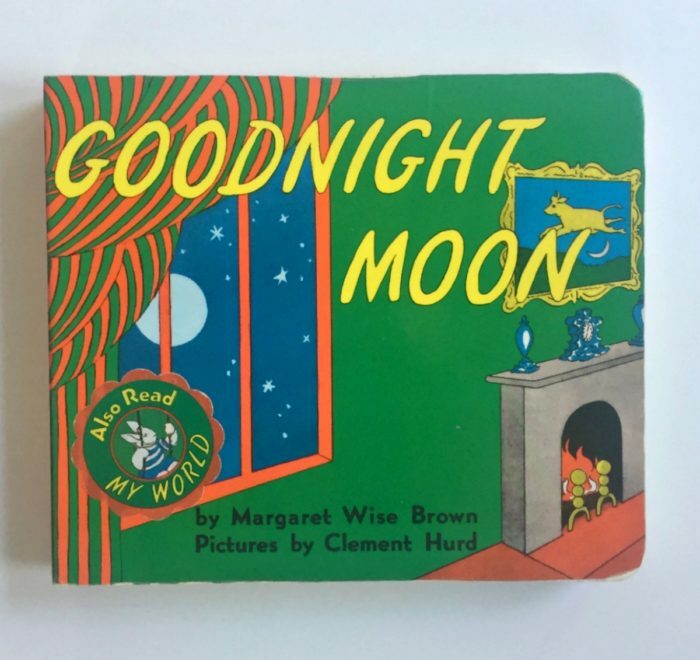 “Goodnight Moon” by Margaret Wise Brown was the last book read before bedtime every single night for, I guess, years. I guess you could say it was a staple in our home and one of the first books we bought before he was born. I read this book to him from day one, okay day three, the first night after we came home from the hospital. It’s a bedtime story must-have for younger children. 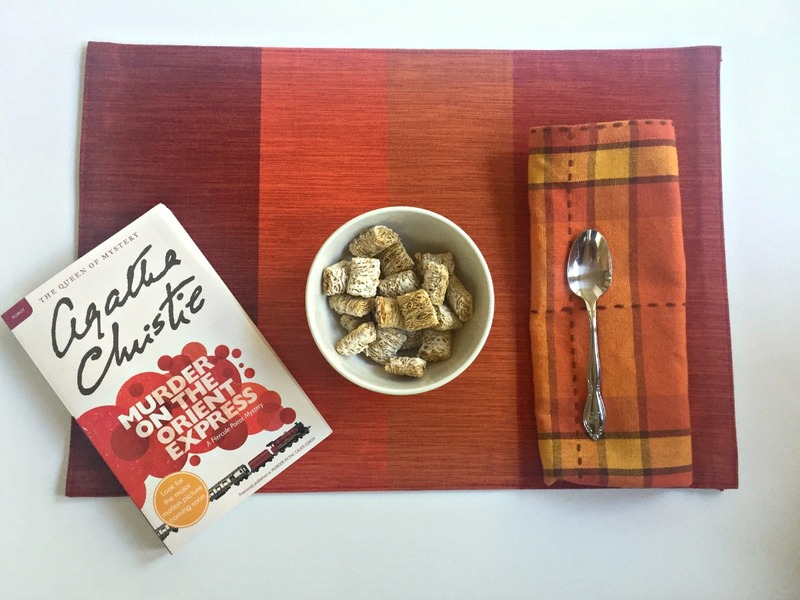 A great way to enjoy reading, is over a bowl of cereal, whether for breakfast or as a snack with your kiddos. 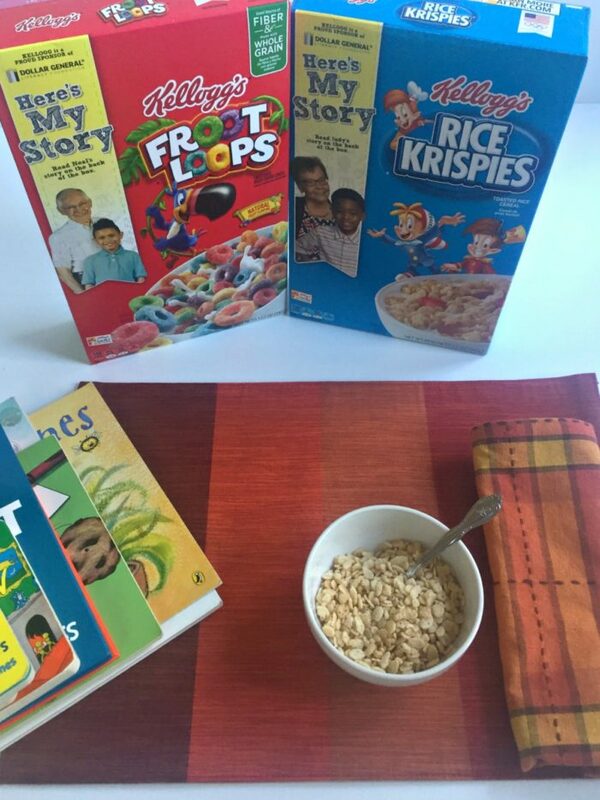 Learn more about the literacy initiative, and be sure to enter the #DGMyStory Sweepstakes with the hashtag #DGMyStoryEntry and share your own personal literacy story for a chance to win a $50 Dollar General gift card.